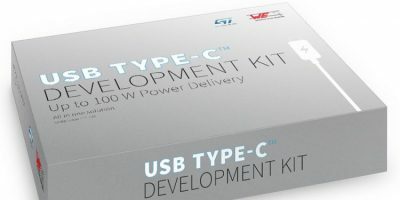 Developers looking to take advantage of the expanded range of options offered by USB Type-C and USB Power Delivery (PD), can develop prototypes using the USB Type-C Development Kit from Würth Elektronik eiSos. 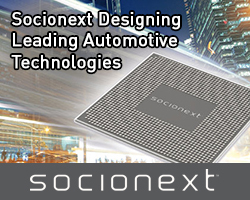 It has USB-Type C technology from STMicroelectronics and is ready for immediate use in prototypes and represents a reference design for safe and flexible USB PD applications up to 100W. USB Type-C connector is used by many devices today; it is reversible, can be plugged into a device any way and is able to carry up to 100W charging power (from 5V/0.1A up to 20V/5.0A). It is backward compatible with and merges the functionality of both legacy Type-A and Type-B ports in one and even can change roles on-the- fly. According to Würth Elektronik eiSos, the USB Type-C development kit, addresses two of the biggest challenges in developing USB PD applications. The first is that it is robust, with embedded protection against short-circuit, over-voltage, over-current and EMI ensured by using USB Type C connectors, inductive components and capacitors from Würth Elektronik eiSos and certified USB Power Delivery controllers from ST with built-in protection. Secondly, it is a complete and ready-to-use solution with evaluation boards and a demonstration board for sink and source applications from 0.5 to 100W. These boards can be used without any extra software or firmware for faster development time, assures Würth Elektronik eiSos. The first board is the 40W source evaluation board with the STUSB4710 auto-run controller and on-board DC/DC converter from ST. The STUSB4710 integrates all the digital and high-voltage analogue circuitry needed to autonomously support full USB PD negotiation. 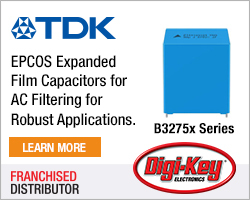 It supports up to five power data objects (PDOs) and power-sharing applications via its I²C interface. Typical applications are power-source applications such as AC adapters, power supplies, power hubs, smart plugs and DC/DC applications. The second board is the 100W sink evaluation board with the STUSB4500 auto-run controller from ST. 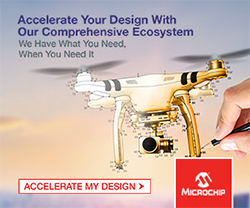 It allows straightforward migration from STD-B, micro-B or custom power plugs to a Type-C connector. This can be used to automatically prompt a charging process, even if the battery is empty. The STUSB4500 supports up to three PDOs. Typical applications are electronic devices charged through a USB Type-C connector. The third board is the 100W source demo board with the STUSB1602, an analogue front-end that is a companion chip of the STM32 microcontroller, and on board DC/DC converter. The STUSB1602 provides up to five PDOs. Typical applications include power-source applications such as AC adapters, power supplies, power hubs, smart plugs and DC/DC applications.